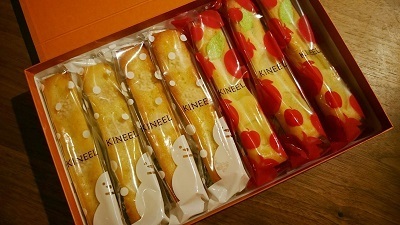 “Hime Cake (=princess cake)”, a small, bite sized cakes. They know the girls’ mind very well that they want to taste as many kinds as possible. “Financier” with red beans were really good! 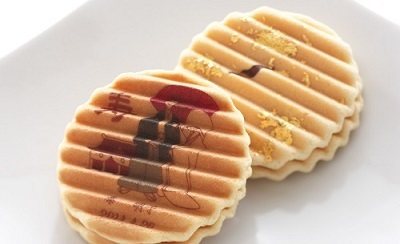 “Senju Senbei” by Kogetsu, a popular “hikigashi (souvenir sweets for the wedding guests)” among LST clients. 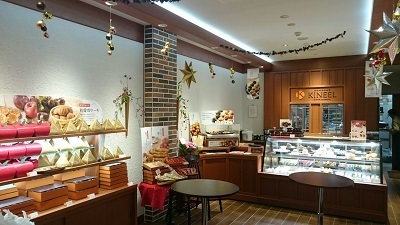 “Kogetsu”, a long established Japanese confectionary opened a new western cake shop “Kineel” in Teramachi Nijo on December 1st. 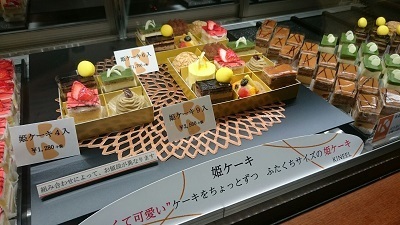 They adopted the skills developed in the traditional Japanese confectionery to the western cakes and created simple yet tasty cakes. 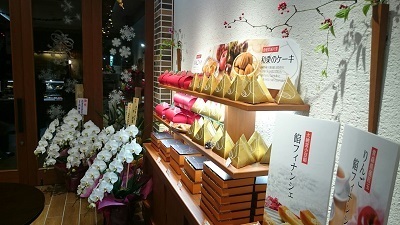 I found another favorite shop in Kyoto.